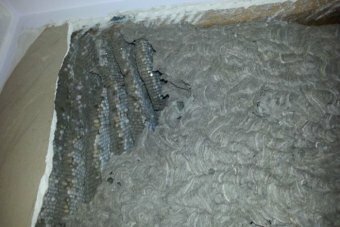 Last year’s wet winter weather conditions prompted significant number of European wasps to seek shelter inside Canberra houses and apartments – and the full impact is only just being felt, according to an ACT expert. 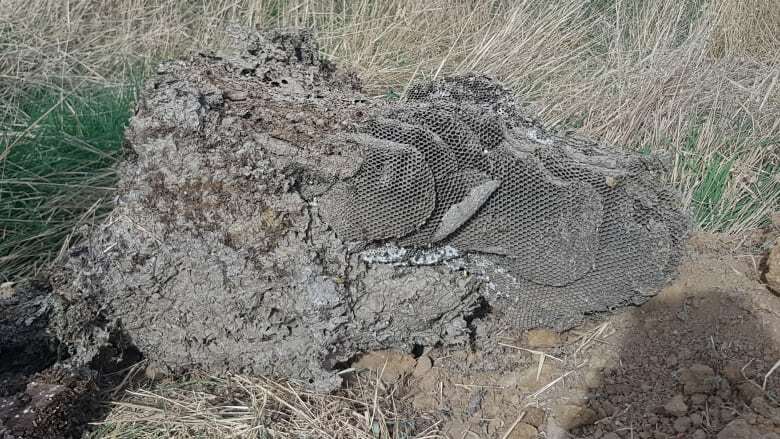 Since August the ACT Government’s eWasp Hotline has recorded 66 nests in the ACT, with 40 located within wall cavities and the reminder in the environment. And hotline operator and environmental consultant Jim Bariesheff said many nests go un-reported. “With the wet winter, it has drowned and killed off a lot of queens that would have made their nest in the ground, “Mr Bariesheff said. Autumn marks a dangerous season for European wasp attacks, according to Mr Bariesheff. 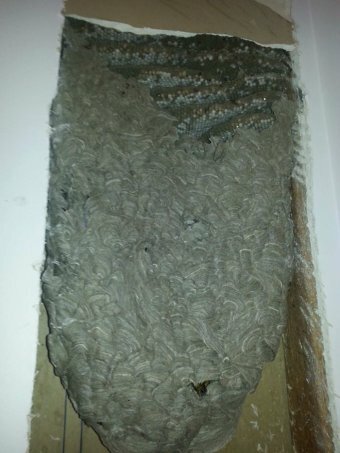 “This is the time of the year where the nests have outgrown the wall cavities and they start chewing through gyprock and coming into people’s homes” he said. “People are more concerned and fearful about it than ever”. Palmerston resident Joe Van Akker is one of the 40 ACT residents to have discovered a nest in a wall cavity. 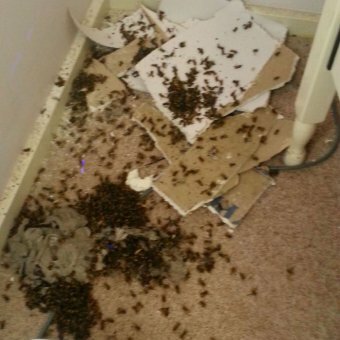 She said her family was very fortunate to have avoided being stung. A pest controller located the nest full of larvae in Ms Van Akkers garage wall, cornice and ceiling last week. “We heard scratching, but we suspected birds,” she said. Then we came home from work and school through the entrance way from our garage and there were 40 insects, which I through were bees. “They were swarming around at head height and even down to chest height, like it was just above my kids’ heard, and they are primary school age”. 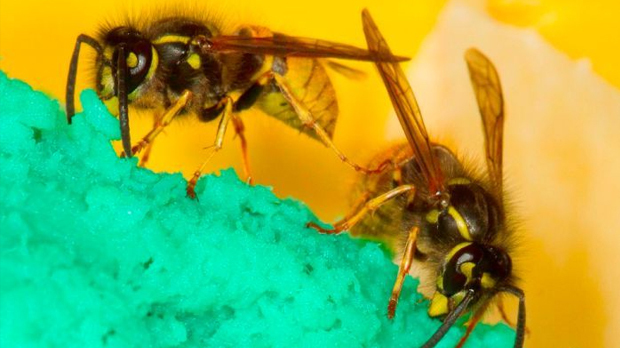 After spraying the insects with insecticide, Ms Van Akker identified them as European wasps. But Mr Bariesheff warned residents not to use insecticides. “When you spray insecticide, you are actually aggravating the nest, you are making them more aggressive and more dangerous,” he said. “Then the nest is on alert and most of the time the chemical does not get the nest. He urged affected resident to engage qualified pest controllers, saying the insects were extremely adaptable and clever. 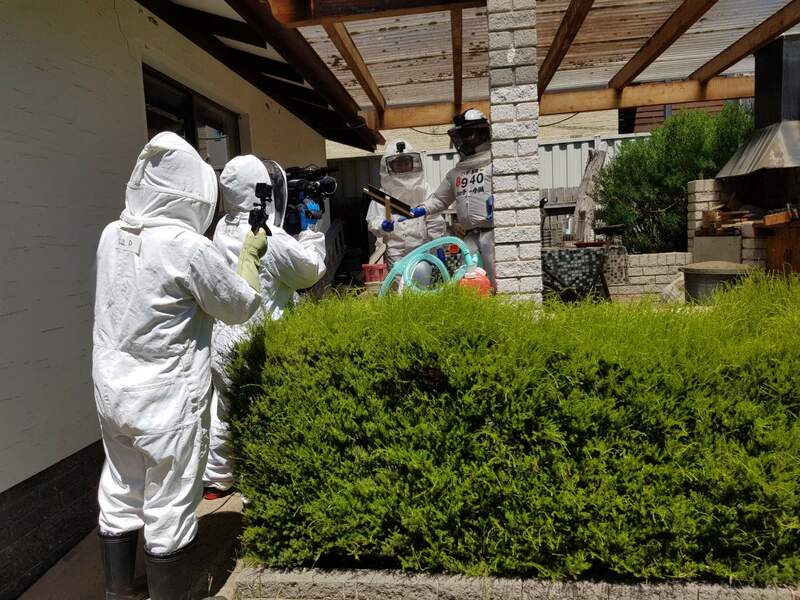 Mr Bariesheff was hospitalised after being stung 13 times, including once on the forehead, while treating a European wasp nest at an Ainslie property a year ago. 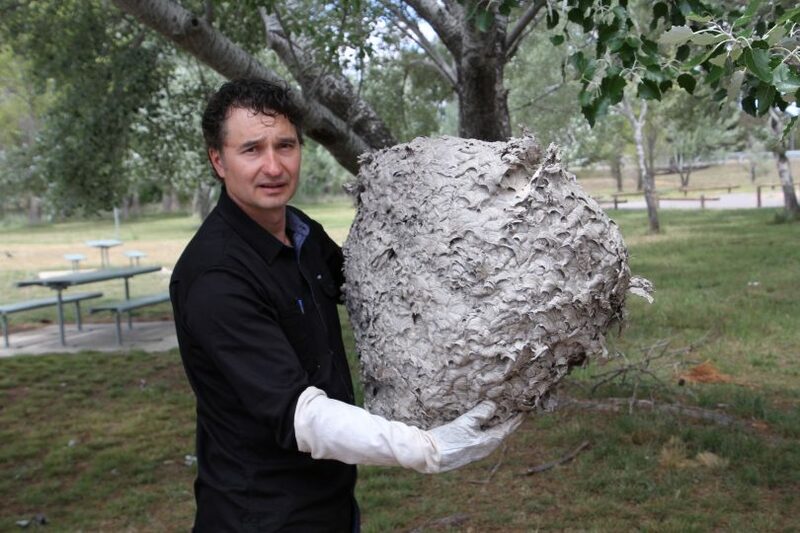 “If you do get stung, especially on the nest or head, you need to seek medical attention straight away,” he said. “Antihistamine always helps, and so does a cold compress”.